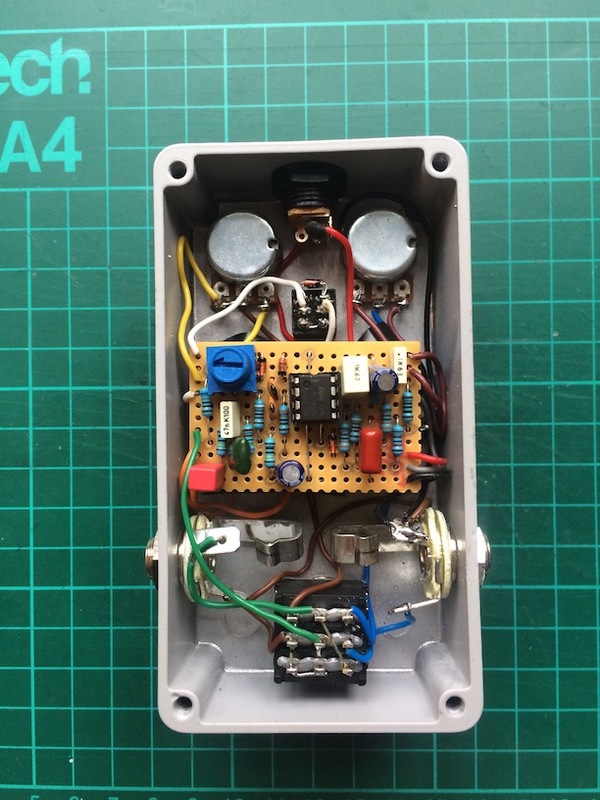 The Jan Ray pedal I built in February 2018 has had a makeover. I’ve been using it a quite a bit lately, and it sounds nice but it looked a bit cheap and cheesy. So I took it all apart, changed out the DPDT On/On switch, gave it a new lick of paint and put it all back together again. 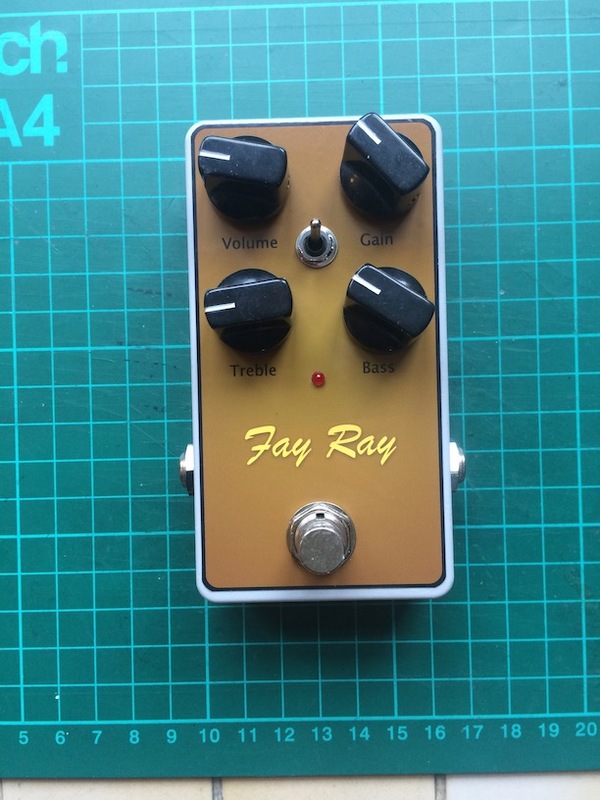 It’s now the Fay Ray Pedal.